I have had a long standing love for Susan Caplan Vintage Collection. They sell beautiful vintage jewellery and each piece is one of a kind with a story to tell. They sell branded gems including vintage Chanel, Givenchy and Butler & Wilson but you can also snap up a bargain in their 'Under £50' section which has plenty of non-branded items. Susan Caplan Vintage also have a diffusion line called Boutique by Susan Caplan which is sold on ASOS Marketplace. Boutique has a lower price point and the collection is a little more wild (cheap and wild, right up my street!) Whenever I wear SCVC necklaces I always get asked where it's from, and I always get questions through my blog asking about my jewellery. These images are my favourite from their online stores, but they can also be found in Harvey Nicks, ASOS, John Lewis and Selfridges. 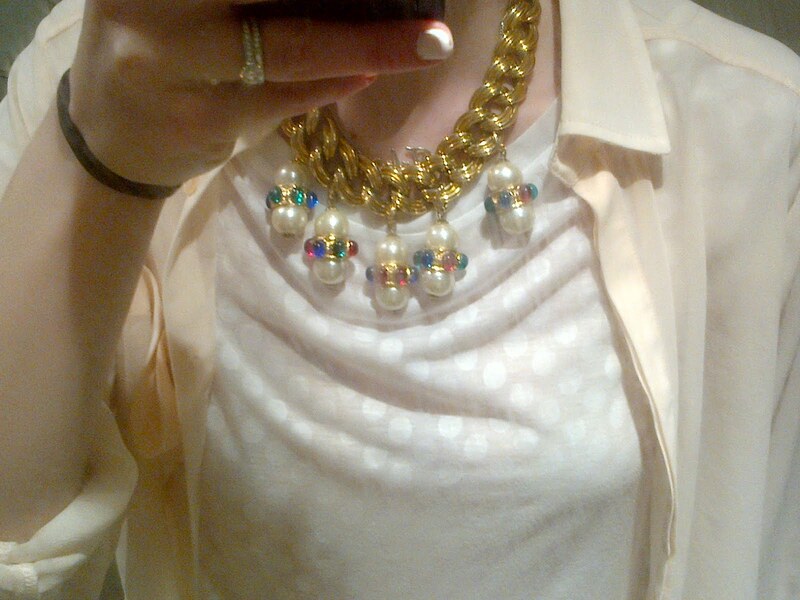 6) My latest purchase from SCVC... love the garish baubles and giant pearls.